In mid-February, I spent a few days at my parents' house in Brisbane. While there, I dug out some of the things I'd stored in their ceiling space when I left, including a pile of old Agatha Christie novels. Throughout my teenage years, I worked my way through her bibliography - I think I may've read everything she published under her own name (she also wrote some romance novels under a pseudonym, but I've never bothered with those). Yet I haven't re-read many of them at all in the last decade or so, and I thought it would be interesting this month to re-read three of them and see how I react many years after my first - or indeed any subsequent - reading of them. 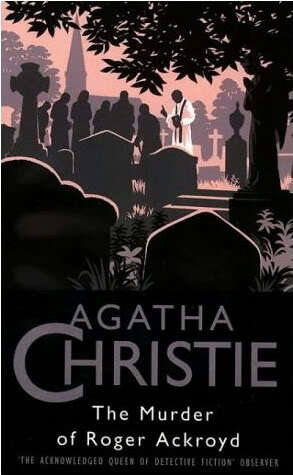 I decided to pick one Hercule Poirot, one Miss Marple and one non-series book to sample the range of Christie's books. 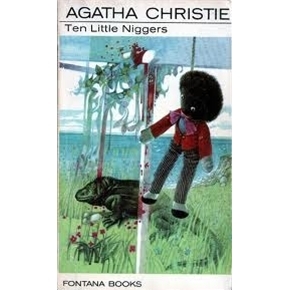 Arguably one of her most famous books, along with Murder on the Orient Express and maybe a couple of others, this is a relatively early book and apparently caused a big sensation at the time of its original publication because of its (unprecedented?) twist ending (which I won't spoil here). c) almost none of a) or b) will matter to Poirot in solving the crime. The Murder of Roger Ackroyd is a pretty good example of these tendencies, but is of course redeemed by the ending. Yes, it's silly and less plausible than many of her novels, but it is a damn good twist (even if it has been quite cleverly skewed by Pierre Bayard in Who Killed Roger Ackroyd?, which argues that Poirot was wrong in his deductions). Indeed, Christie thought it such a good ending that she later reused it in another book (which I won't name, for obvious reasons). But throughout Ackroyd, we see Poirot at his best - he was always served well by having a narrator/assistant, which is why the Hastings books are amongst the best Poirots - and many of the characteristics for which Christie was famous: the misdirects, the quickly but effectively drawn cast, the unspectacular but utilitarian prose, the gentle humour. She would grow to hate Poirot - in much the same way Arthur Conan Doyle did with his most-famous creation - but in this early novel he's still on show as one of fiction's most interesting detectives. Christie never, so far as I know, disliked Miss Marple as much as she did Poirot, but many of her Marple books feature the elderly detective as a marginal character, whereas Poirot was always centre stage. That was by design, given the two characters' styles, but it does mean that there are some Marple books where she barely appears. 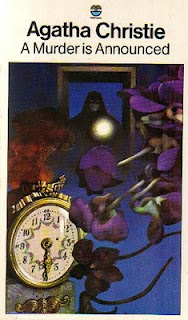 A Murder is Announced is not the extreme end of that, but it's a good example of how the Marple books as a whole work. Unlike The Murder of Roger Ackroyd, A Murder is Announced is one book I barely remembered, so reading it this time meant that I was in some ways reading it for the first time. Unfortunately, A Murder is Announced is not Christie at her prime. The set-up is intriguing: the local paper carries a small notice to the effect that there will be a murder that evening at the house of Miss Blacklock and all her friends are invited to be there. A group from the small village turn up on time, to see an attempted robbery where the culprit ends up shooting himself. Miss Marple gets involved, a couple more murders take place and the ultimate villain is caught by falling into Miss Marple's trap. Yet the story, even by the standards of the genre, is just completely implausible: not one, but two sets of siblings whose identities and relationships are secret; multiple people going by someone else's name; a fantastically complicated plot wherein what should have been a simple murder committed by one person against another becomes a whole big routine; and Miss Marple stumbles onto the truth of what happened after a cat knocks over a vase. It is frustrating because, as I said, it's an excellent set-up. But one of the worst faults of Christie's plots was her tendency to create fantastically complicated plans for the murderer to carry out. Implausibility within certain limits is part of this type of detective story, and one cannot really criticise her books on those grounds, but A Murder is Announced takes this altogether too far. It also features one of my least-favourite devices in her novels: a scene where we witness a murder taking place, but with the identity of the murdered withheld in an incredibly clunky manner ('she heard someone approaching'... followed by a conversation between the two in which the 'someone' is never named - particularly irritating in this book because the 'she' in question had just begun to suspect another character. That other character is the 'someone' who walks up to her and chats for a moment before killing her). Miss Marple was always inferior to Poirot, but this book is far from either character or author at their best. And, remarkably, the ending works. It's overly elaborate, like so many of her plots (including the other two here), but in this case it's effective. The method of conveying it is perhaps a little clunky, but there was really no way around that. In some ways, the book's brevity (not that any of her others were much longer) helps create the propulsive and tense atmosphere which pervades. So, what did I think of these three books after this re-read? Well, two of them I quite enjoyed, one I was mostly bored - with bouts of frustration - by. They all have the virtue of being quick, escapist reads - so long as you can keep all the characters in your mind, that's all the reader need bring to the read. The parts of Christie's writing which annoy me will not come as a surprise to anyone who's read any of her books - the over-reliance on stock characters, the occasionally dreadful dialogue, the tedium of working through chapters describing the irrelevant movements of characters and the addiction to murders (even quick, unplanned ones) happening in overly complicated ways - make it hard to love these stories uncritically. But they're still fun and, occasionally, quite brilliant. Agatha Christie wrote during a period in which light authors such as herself were expected to publish a least one thing a year, and I do wonder how her books would've been if she'd had more time to spend on each. Rather than writing nearly 80 books of varying quality, she could have done half as many but increased the average quality of each, perhaps. (For another instance of an author who churned out too many books with similar plots when they might've been better served by writing fewer but better things, see Wodehouse, P.G.) But that was the way things worked through the mid-20th century, and so we can't blame her for that.